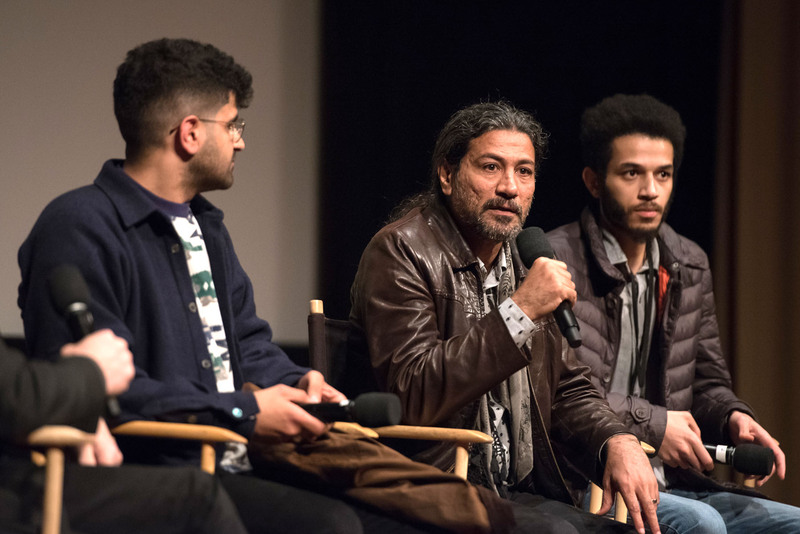 Twelve short films, five video installations and one feature film, all by young directors from Saudi Arabia, screened April 2-4 at the Linwood Dunn Theater in Los Angeles. The event was the second edition of Saudi Film Days, sponsored by Ithra, the King Abdulaziz Center for World Culture, in collaboration with the Saudi Films Festival. 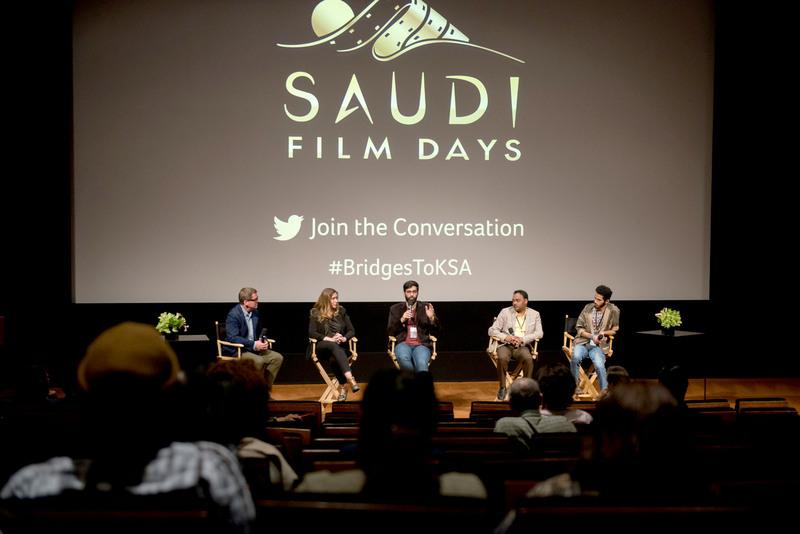 Each screening included a panel discussion with Saudi and us film directors. Here are the highlights. Josh Welsh, president, Film Independent and panel moderator: I just got back—my colleague and I were just in Saudi Arabia until two days ago for our first trip over there.… It truly feels like a historic moment there, where there are significant changes coming to the film and tv and cultural landscape. So I'll start by asking each of you, "What is unique to Saudi filmmaking?" Left to right: Moderator and Film Independent President Josh Welsh, screenwriter Shauna Cross, Saudi director Abdul Rahman Sandukshi, screenwriter Mohammed Al-Bashir and director Mohammed Al-Faraj. Mohammed Al-Salman, director: In Saudi Arabia we have untold stories, and our own culture and myths that we can transform into this film form. And also because we have, in our [Arabic] language, kind of metaphors, so we can interpret these into films, with metaphors and surrealism. And lots of filmmakers that I know [also] have this distinguishing sarcastic tone in their films. When we have an issue or something in our culture, we make a joke about it—in writing or now in film. Shahad Ameen, director: I feel that no matter how many things I try to write, I end up in some magical situation and fantastical one. And I always feel that it goes back to our language, because our language is very metaphorical. And it has vision. If you read an Arabic poem, you’re seeing pictures. 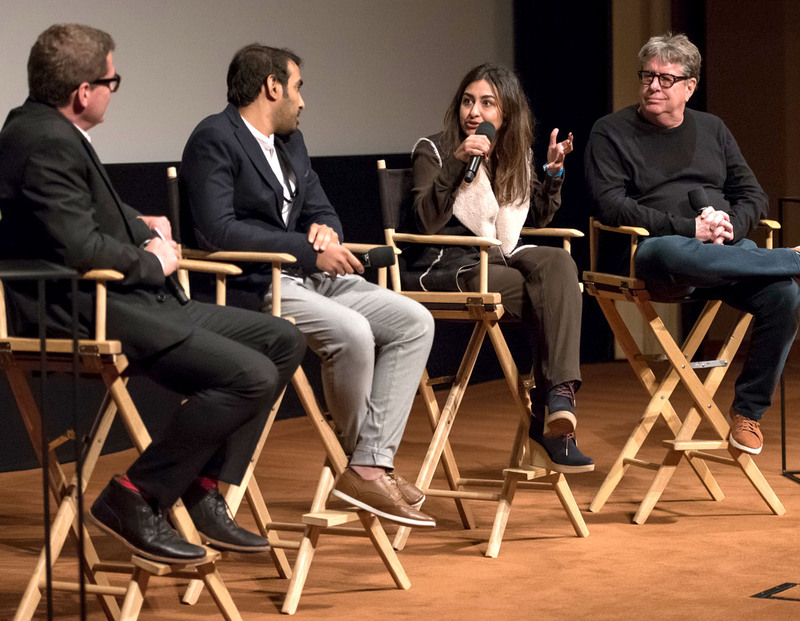 Andy Tennant, director: It’s important to learn from the audience, and I think it’s going to be interesting for [Saudi] filmmakers to actually hear what the response is…. You don’t necessarily give the audience what they want, you give them what you’re feeling. Mohammed Al-Bashir, screenwriter: There are stories in Saudi that haven’t been even touched before…. We are used to the oral world and oral storytelling. So introducing this image and way of expressing ideas and emotions, and myths and legends, is very exciting for us as modern storytellers. Welsh: I’m curious about the different regions in Saudi Arabia and how they might influence filmmaking. Are there particular storytelling traditions in those regions that show up in your work or that you think we can expect to see from other Saudi filmmakers? Ameen: There are diverse voices, and that’s kind of wonderful…. Cinema does not stand on one person solely, or one genre solely. Al-Salman: I think there are diverse filmmakers…. There are comedy films and realism, and also this surreal and also the sarcastic tone that I talked about. I’m not sure if the region would have this effect. Welsh: There’s sometimes a perception that Saudi film is starting today, but that’s clearly not the case. Abdul Rahman Sandukshi, director: At the beginning, when we were starting the experience of filmmaking, we were very excited, and we wanted the first movie to be the best and perfect…. [I worked on a film about] Alzheimer’s that took one and a half years. People would say, “Wow, you took too much time on this movie.” But I wanted it to be perfect. Then, I learned stories really don’t end. There are millions and trillions of stories. You can find a story anywhere. By the door you can find a story. Stories are everywhere. So just finish that [film]…. That I learned the hard way. Just finish the movie and start with the next one. Top: Welsh with Saudi directors Mohammed Al-Salam and Shahad Ameen, and us director Andy Tennant. Lower: Saudi director Mujtaba Saeed, Saudi Films Festival founder Ahmad Al-Mulla and director Mohammed Al-Faraj. Now there is a more organized kind of approach. (Question from audience:) Do you see this as a way to change the perceptions of Saudi Arabia?Al-Salman: Sure.… We need to form and tell our stories by our own. Mohammed Al-Faraj, director: I see what is happening here as a plant. And this plant is growing out and blossoming. And hopefully it’s going to be fruitful for everyone.